Unics almost let the win slip away, though Lasme and Colom stepped up in overtime vs. Nizhny. 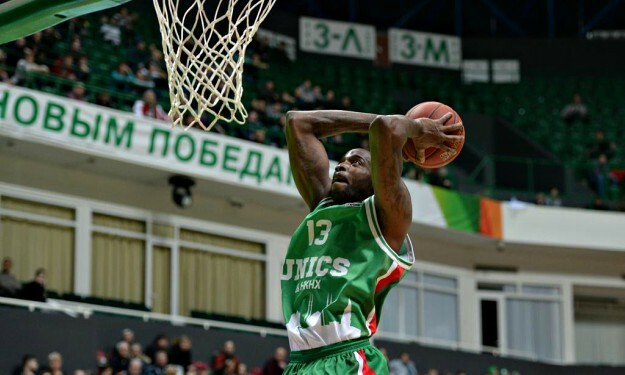 Unics Kazan outlasted Nizhny Novgorod’s pressure in overtime and prevailed 99-93 at home. The hosts got the job done to improve to 20-2 in the standings, while for Nizhny things might become tougher ahead of the playoffs with an 8-14 record. Stephane Lasme sounded the alarm for the Kazan side, tapping 27 points and eight rebounds in this win, followed by Quino Colom’s 20 points, seven assists and three rebounds. Stefan Jelovac’s double-double of 22 points and 14 rebounds wasn’t enough to seal the deal for Nizhny in overtime. The winners will now have to overcome Parma and Zenit in their last two games of the regular season in VTB League.